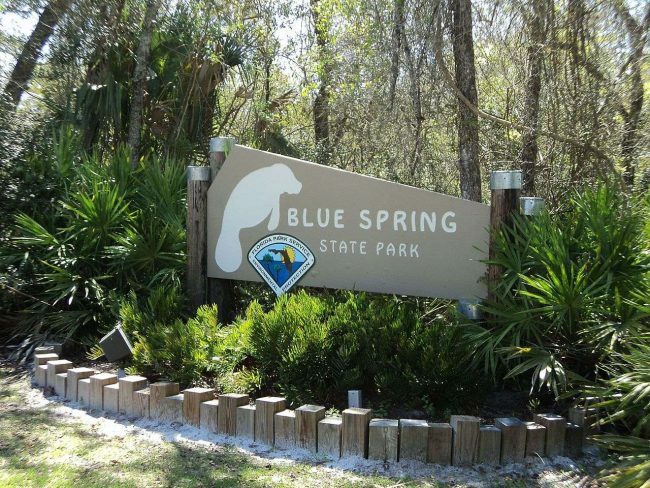 Blue Spring State Park is the quiet and expansive nature preserve you hoped to find during your New Smyrna Beach vacation. 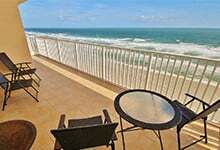 Visitors will find assorted facilities, outdoor activities, a cool water spring, and some of the most sensational marine life sights in all of Florida just about 45 minutes from our New Smyrna Beach vacation homes. If you venture to any spring in Florida, make it the biggest on the St. Johns River at Blue Spring State Park. It hosts a 73-degree spring along with a designated swimming, scuba diving and snorkeling season. The water is almost completely transparent, with a nice turquoise hue to make it sparkle under the sun. Scuba diving here is thrilling and well worth getting a certification for. Few can get very far in Blue Spring State Park without encountering one of its most impressive sights. 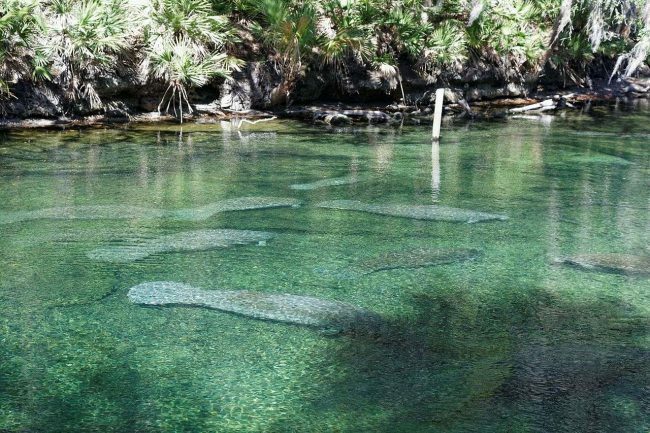 During the winter season, starting around November to early March, visitors can witness hundreds of West Indian Manatees gracefully swimming up the St. Johns River at the park, a designated manatee refuge. The spring attracts these endangered treasures from the sea, offering visitors a stunning sight, however swimming with them is strictly forbidden during the season. The Thursby House at the park is a unique historic attraction worth visiting during any season. 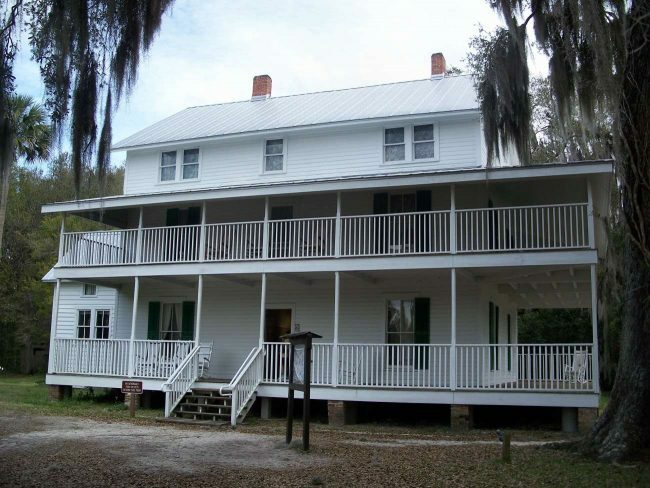 The house dates back over 150 years and gives visitors a first-hand look at what life was like in the early days of Florida along the St. Johns River. The park surrounding the famous cabin home is equipped with picnic tables and grills, as well as air-conditioned cabins for rent. The manatees help fulfill a longtime wish of many visitors to New Smyrna Beach – a desire to see these remarkable creatures in their natural habitat. However, outside of manatee season, there is plenty else to enjoy here including camping, fishing, cabin rentals, snorkeling, scuba diving, hiking, kayaking and more. Blue Spring State Park is tranquil and wonderful, and it’s all right here for you to see, experience, and love. 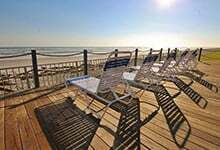 The park is located at 2100 W French Ave, Orange City, FL 32763, about 45 minutes west of New Smyrna Beach and our vacation rentals. 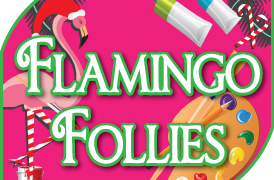 Parking is available on-site along with several other facilities as needed. 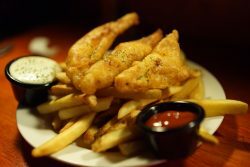 Call ahead for further details and to plan a trip there at (386) 775-3663.